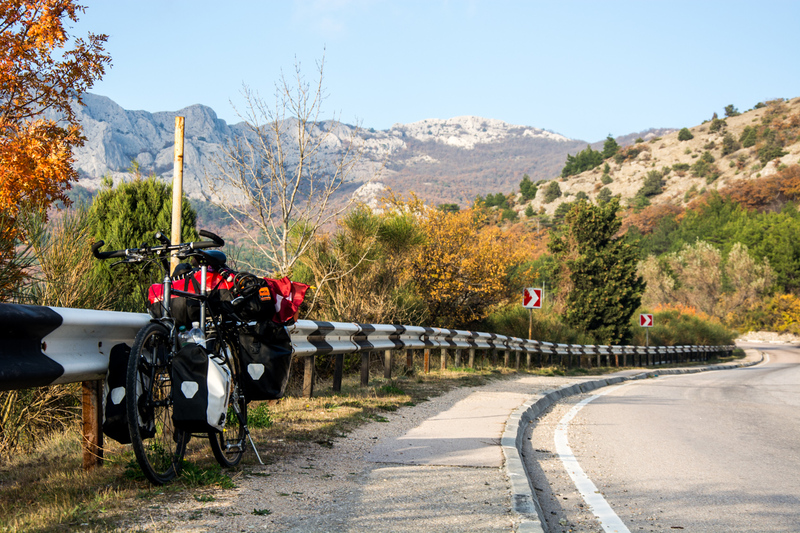 The plan was ready and it was a simple one – Laura and Ivars will try to conquer Crimea hitchhiking while I will be pedaling as hard as I possibly can. I must admit that at the outset, I felt excited – on one hand I was excited because I will finally have an opportunity to see the beautiful southern cost of Crimea, but on the other hand I felt as this will be the first real cycling challenge for me (I will have to face steep climbs and long down-hills ). This entry was posted in Crimea and tagged Adventure, bicycle, Crimea, How Many Roads, Latvia, Night Wolves, Russia, Swallows Nest, tourism, Ukraine on February 12, 2015 by Dainis Pudelis.